Today I had the privilege to visit the ultra-modern Grand Hyatt Playa del Carmen Resort offering beachfront luxury in Mexico, just 45 minutes away from Cancun. The hotel’s pyramid in the entrance, reminding us of the Mayan Cultural Heritage. The pedestrian path in the “lobby” area, designed to be an extension of the famous “Quinta Avenida” of Playa del Carmen. The perfect spot to have a drink, meet with friends, have a snack or purchase souvenirs for your loved ones. The unique Cenote Spa, that mirrors the area’s underground water system, sacred to the Mayans and most locals. The Spa also offers all kinds of water treatments and therapies. Art pieces elusive to Mexico and the area like the WhaleSharks by the pool area. A beautifully designed bridal suite conveniently located close to the wedding ceremony spots by the beach, deck or pool area. Breezy spaces with natural light and native elements. Hydrotherapy at Cenote Spa, Grand Hyatt Playa del Carmen, Mexico. Grand Hyatt Playa del Carmen Presidential Suite. Grand Hyatt Playa del Carmen, Mexico. Luxury Resort. 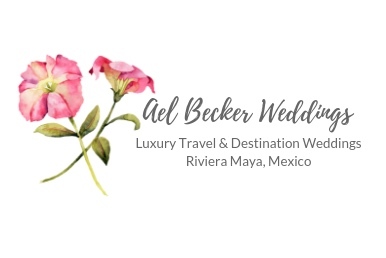 For those destination brides still trying to find the perfect wedding venue, this hotel offers gorgeous spots, backup locations in case of bad weather, an exquisite meal plan, experienced staff and it’s vendor friendly (not easy to find nowadays). Grand Hyatt Playa del Carmen welcomes & loves Multi-Cultural Destination Weddings so feel free to reach out. Grand Hyatt Playa del Carmen Wedding.